Largest investments updated (Early 2018). My last blog on this subject was published in October 2017. If you don't remember, see the related post at the end of this blog. I certainly look forward to the dividends from SingTel and ComfortDelgro in 2018 which would hopefully make my primarily income focused portfolio more robust and less dependent on S-REITs. Next up are the smaller but still rather significant investments in my portfolio. Some might notice that there is a new member in this club. DBS was a business I kept buying into at around $15 a share and bought more of when its share price sank below $14 a share. As its share price recovered over time, in several transactions, I reduced my investment to the point where my remaining investment became "free of cost". Of course, one could say that if I did not sell any of my investment in DBS, I would be sitting on a much bigger paper gain now. Well, I always say that hindsight is perfect and seller's remorse is pretty pointless. I reduced my investment in DBS because it was no longer the undervalued proposition that it was when I bought its stock. Having said that, doing something I often do with businesses which I have good reasons to like, I held on to my remaining investment in DBS which had become "free of cost". Some regular readers might remember I have described this as trading around a core position before. Mr. Market could be quite irrational and high could, of course, go higher. How long could Mr. Market stay irrational for? Meanwhile, as the share price has almost doubled from my lowest purchase price, my remaining investment in DBS is now one of the largest investments in my portfolio. I am pretty comfortable with my portfolio now and, all else remaining equal, it is unlikely that I would be making any changes anytime soon. If lazy AK does not change anything in his investment portfolio this year, the above investments are most probably going to contribute the bulk of his passive income in 2018. As I have rationalized the moves made in 4Q 2017 when I shared my full year passive income in blogs published towards the end of last year, I shall not repeat myself. You might want to read those blogs if you have not done so (or to refresh your memory if you have read them before), starting from Part 1: HERE. I know some might be tempted to shadow my moves but please do your own due diligence. Even after doing your due diligence, remember you are not me and I am not you. Remember the importance of position sizing, taking your own financial situation into consideration. It is rarely a good idea to throw everything including the kitchen sink into investments no matter how attractive they might look. 1. Largest investments in my portfolio. 2. Position sizing, nibbles and gobbles. 3. AK was buying DBS shares. Any concerns regarding the drop in AHT's DPU ? Very impressive. Just the A-list members itself would easily come up to a million in value. As much as they are dependent on the current prices, the movements will impact adversely on the value, should it drops. "It is rarely a good idea to throw everything including the kitchen sink into investments no matter how attractive they might look." There is bound to be fluctuations as AHT owns hospitality assets which have less stability in income generation and they are located in different countries too which means FOREX gains or losses. Congrats on your big gains on DBS. After all to to be greedy when everyone is fearful. I had dbs bought in 2015 around $19. I used to also buy low and sell as it goes up till I hold free of charge. I think it’s really a good strategy considering that won’t be emotionally affected if it drops. But I begin to have the trouble of finding new companies with good fundamentals and spending more time to research another stock. Somehow I just find that good companies are somewhat rare in Singapore. But I thInk it makes sense for you, since after holding free of charge you still hold between 100k to 199k worth ,Haha but I think for small investor like me having less than 2 lots, I will only left with few hundred shares if I sell until I hold it free of charge. One of the most important things I have learned as an investor is that peace of mind is priceless. AA Reit, AK's fav AA-rated bond makes it to the top of AK's A-List investment portfolio. Will you be ready to scoop shares on Monday? Mr. Market seems to be in a grumpy mood. 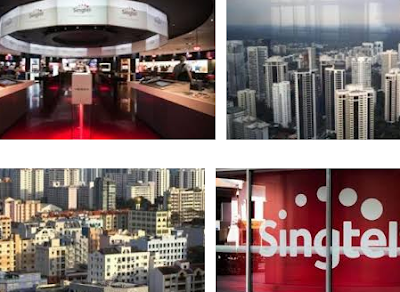 SingTel's free cash flow continues to be strong with growth of 5%.